The industrial revolution transformed the productive power of societies. It did so by vastly increasing the individual productivity, thus delivering whole populations from poverty. In this new account by one of the world's acknowledged authorities the central issue is not simply how the revolution began but still more why it did not quickly end. The answer lay in the use of a new source of energy. Pre-industrial societies had access only to very limited energy supplies. As long as mechanical energy came principally from human or animal muscle and heat energy from wood, the maximum attainable level of productivity was bound to be low. Exploitation of a new source of energy in the form of coal provided an escape route from the constraints of an organic economy but also brought novel dangers. Since this happened first in England, its experience has a special fascination, though other countries rapidly followed suit. 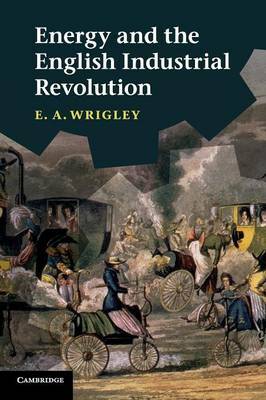 "Here, Tony Wrigley develops the central themes that have characterized his distinctive contribution to the economic transformation of England. There is no better account of the role that the energy revolution played in the escape from the constraints of the Malthusian pre-industrial economy". -Nicholas Crafts, University of Warwick.